The order came after the shooting at a Florida high school was over, but questions remain about whether officers could have entered the school sooner to confront the gunman. PARKLAND, Fla. — A sheriff’s office captain told deputies to form a perimeter instead of confronting the gunman at a Florida high school where 17 people were killed in a mass shooting, according to documents obtained by the Miami Herald. The newspaper reported late Thursday that it had obtained a partial Broward Sheriff’s Office dispatch log, which showed that Capt. Jan Jordan gave the order for deputies to establish a perimeter. An earlier report on the call logs published by Fox News showed that the shooting at Marjory Stoneman Douglas High School would have been over by the time Jordan gave her order. However, the log may raise fresh questions about the department’s handling of the mass shooting on Feb. 14, including whether police could have gone in sooner to help the wounded. “If detectives had answers to all of the questions, then there would be no need for an investigation,” sheriff’s office spokeswoman Veda Coleman-Wright wrote in an email to the Herald late Thursday. 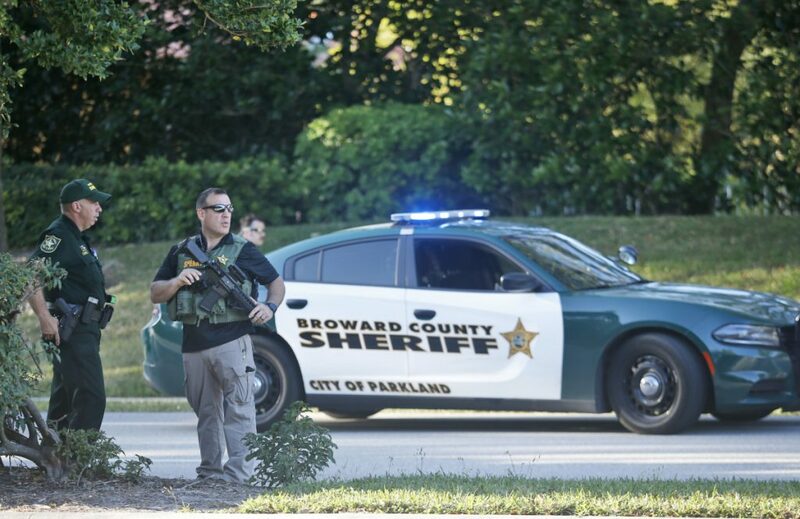 Sheriff Scott Israel has said his office’s training and nationwide active-shooter procedure call for armed law enforcement officers to confront shooters immediately rather than secure a scene. He has blasted Deputy Scot Peterson, the school’s resource officer, for not entering the school building while 19-year-old former student Nikolas Cruz was shooting. Israel told CNN that Coral Springs Police were the first law enforcement officers to enter the building, about four minutes after Cruz left the school. Peterson resigned and has defended his actions. The sheriff’s office and the Florida Department of Law Enforcement are investigating the actions of officers responding to the shooting. The head of the Broward Sheriff’s Office Deputies Association called for more transparency in the investigation in a Miami Herald report Friday, saying Israel should release all surveillance videos, audio recordings and dispatch logs documenting the law enforcement response to the school.